I am happy to report that Paris does not seem quite so hell-bent on doing a full -on Christmas press as early as we do at home. 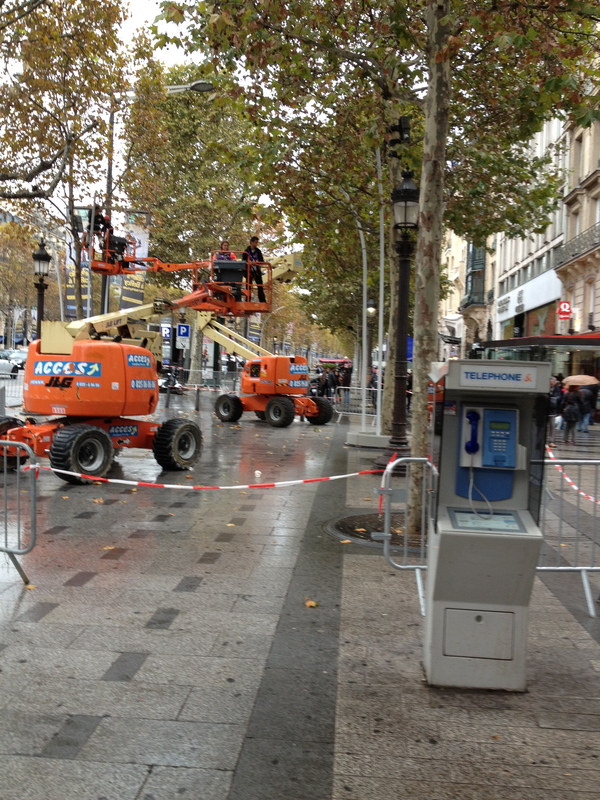 However, I have noticed guys preparing the trees on the Champs-Elysees for their regalia of lights, as if to compensate them for their dwindling foliage. 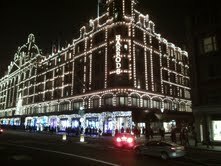 My friends in London sent me this gorgeous picture of Harrod’s, which was lit this Saturday night. Chez Mai is completely devoid of any sign of Christmas, as is appropriate for November 5. However, Martha and I did get a hankerin’ for one of our favorite cookies, which make the house smell like Christmas no matter when we make them. 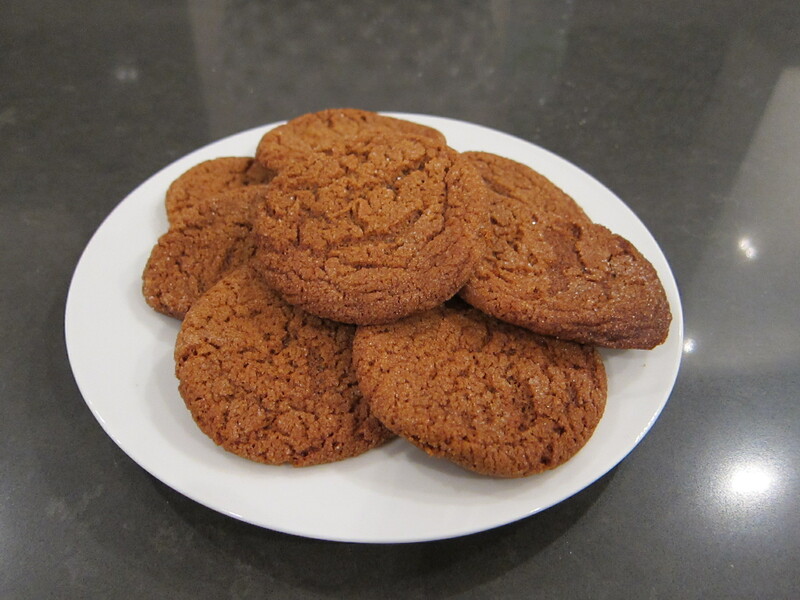 I’m talking about gingersnaps, friends. Yes, the very ones that many of you have been the lucky recipients of in Christmases past. I don’t anticipate doing any holiday baking for delivery this year, arriving as I do on the 17th of December, so I give you the gift of the family recipe. Easy, delicious, and very freezeable, they are good any time of year and are always a welcome gift. At least, that’s what you guys told me when I brought them each year. Chill dough. Try not to eat more than a third of the dough whilst chilling. Roll into balls and roll into sugar. Bake at 375 for 15 minutes. Share with lucky friends or eat them all yourself, as the spirit moves you. A footnote- there is no Crisco in France. Martha and I were sore afraid we were not going to have snaps this year, until I spied some Crisco (a pack of three sticks) at a tiny store hawking American goods. 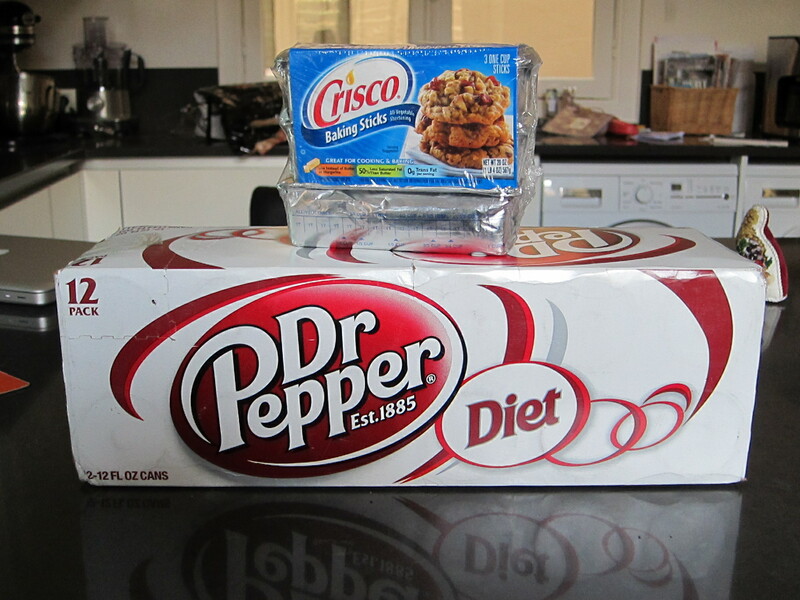 I also saw a fridge pack of Diet Dr. Pepper, which is Mark’s only biggest vice. He has been unable to find it in this city, and I knew I would wrangle with my guilt for weeks if I didn’t buy it for him. So I tossed both items up on the counter and handed the woman my card. As I waited for the bus to go home, I casually examined my receipt. Care to guess? Anyone? 31 euros. Equals around $40. Whoa. And it gets worse. Martha popped open a can of DDP tonight, and it tastes totally watered down. Neither of us could even drink it. I guess there is the possibility that the other cans won’t be more of the same, but if not, Mark is going to be drinking 11 cans of ickiness and thanking me for each one. I could have bought six bottles of decent wine for the cost of these two items. I wish I had. Now go make some cookies. You’ll be glad you did. Um, are you being sarcastic with the “legions” thing????? Mmmm, I love the smell of Ginger snaps. Thanks for sharing the family recipe. I’m intrigued by the thought of making ketchup from scratch! 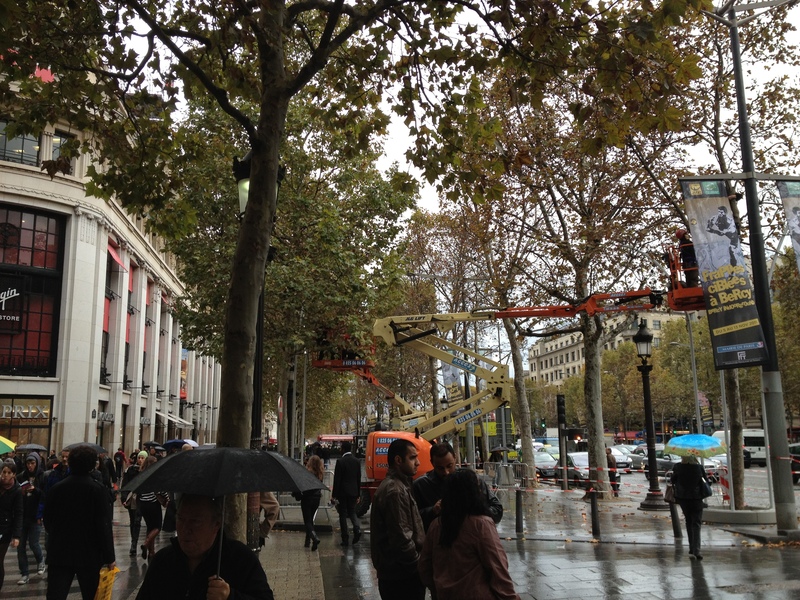 We may have crossed each other on the Champs Elysees the other day. I was there on Thursday taking pictures of the men putting up the Christmas lights. Have you heard about the American grocery store, Thanksgiving, in Paris? I haven’t been yet but it’s supposed to be a good place for American baking supplies. Or is that where you found the shortening and Dr. P? Ha- glad you be of some help to you today. I remember how horrible that time of Sunday is at that HEB. I used to jump through all kinds of hoops to get there early on Sunday mornings, if I had to go. And yes, the produce section was the worst. 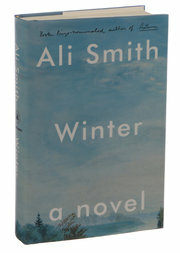 But I will be hanging out there in December, I can assure you, just to relish the choices, and the prices! Do make the cookies- i promise they’re really good! 2 12 packs for $5.00 . Look forward to seeing you in December drinking a Dr. Pepper! !